On Monday, the 18th, in the early hours of the morning, King Felipe started his day with a working meeting at the hotel with a representation of Spanish and Texan businessmen. 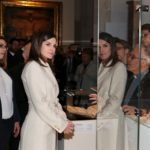 Later on he joined his wife Queen Letizia to open the exhibition “Masterpieces of Spanish Painting from Madrid Collections” at the Museum of Art of San Antonio. There they were received by the mayor of San Antonio, Ron Nirenberg, among other personalities. 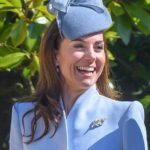 The royal couple enjoyed a tour of the exhibition where they received explanations from the director of the Museum, Katie Luber and the curator of the exhibition Willian Rudolph. Letizia and Felipe observing the art work at the Museum. At noon, Don Felipe and Doña Letizia moved to the Hotel Saint Anthony to attend the event organized by the Carolina Foundation “Hispanic Young Leaders Program” in the USA. 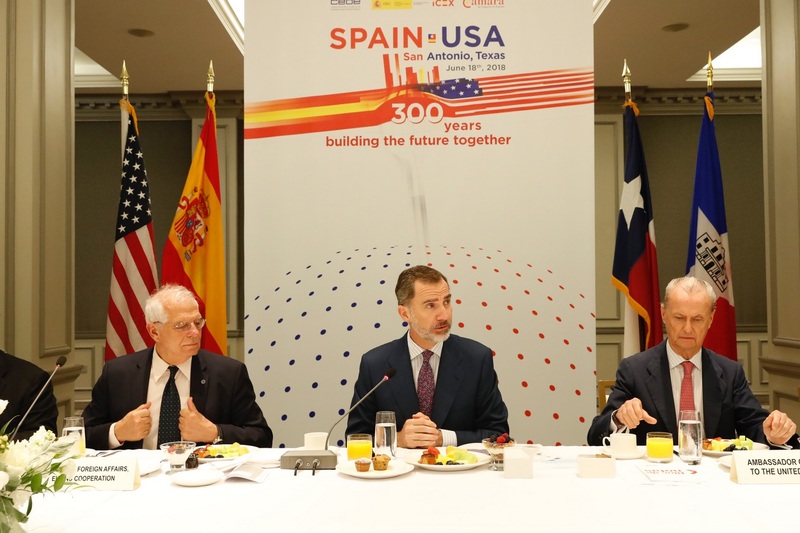 He ended his speech reiterating “Spain’s support for his progress and thanking the Carolina Foundation for the organization of this Convention”, thus ending activities in San Antonio. 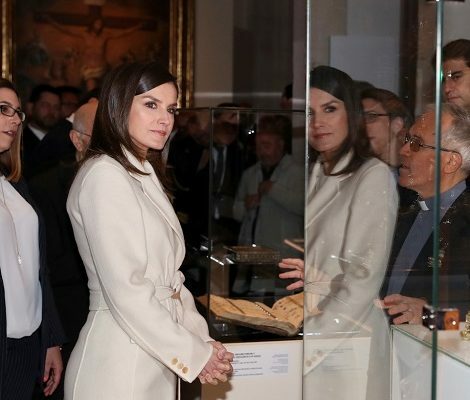 Today Queen Letizia added another name to her extensive wardrobe. She was wearing black and white Custom-made polka dot dress from Spanish label Cordovan Matilde Cano. Thanks to Nuria Tiburcio for the dress id. The sleeveless dress features a vee-neckline with a fitted belted waist and fit and flare silhouette. 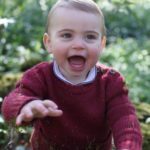 The same pattern is available in gown on the online store. Letizia paired the dress with black mule having vinyal strip that she debuted on this Saturday in New Orleans. The label of the mules is still unknown. 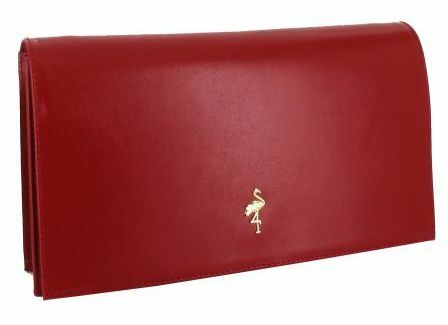 She added a touch of colour with her red Menbur Malva Leather clutch. 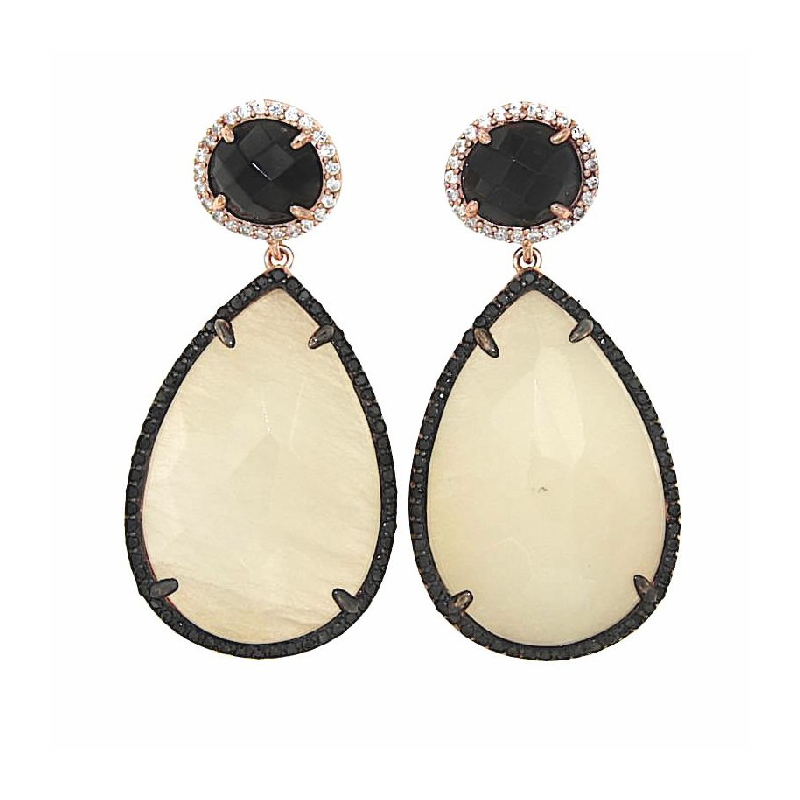 Her Coolook Luna rose and onyx earrings finished the look. 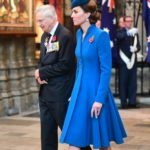 Then the royal couple bid farewell to San Antonio and left for the International Airport of San Antonio to travel to Washington where they will meet President Trump and First Lady Melania Trump tomorrow morning. At Airport they were received by the chief of protocol of the United States of America Sean P. Lawler.